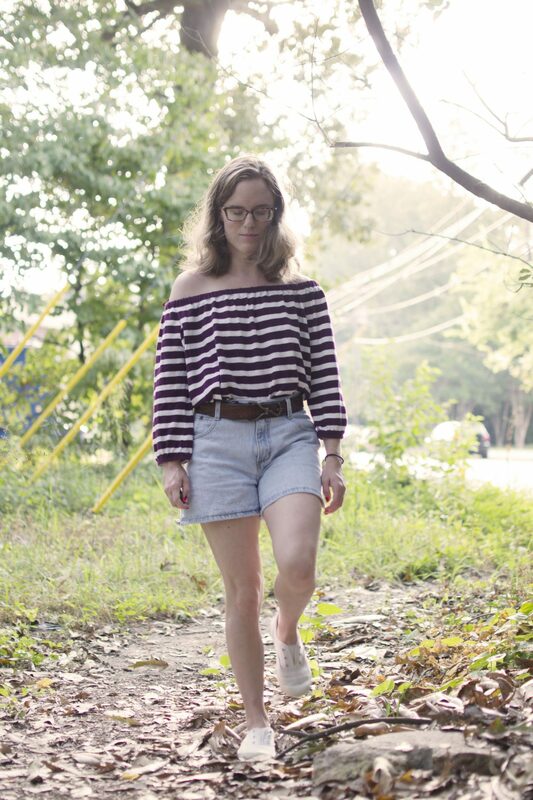 I’ve got a quick post for today because I wanted to show this easy transitional outfit! The day this is posted I’m heading to NYC for a long weekend! YAY! 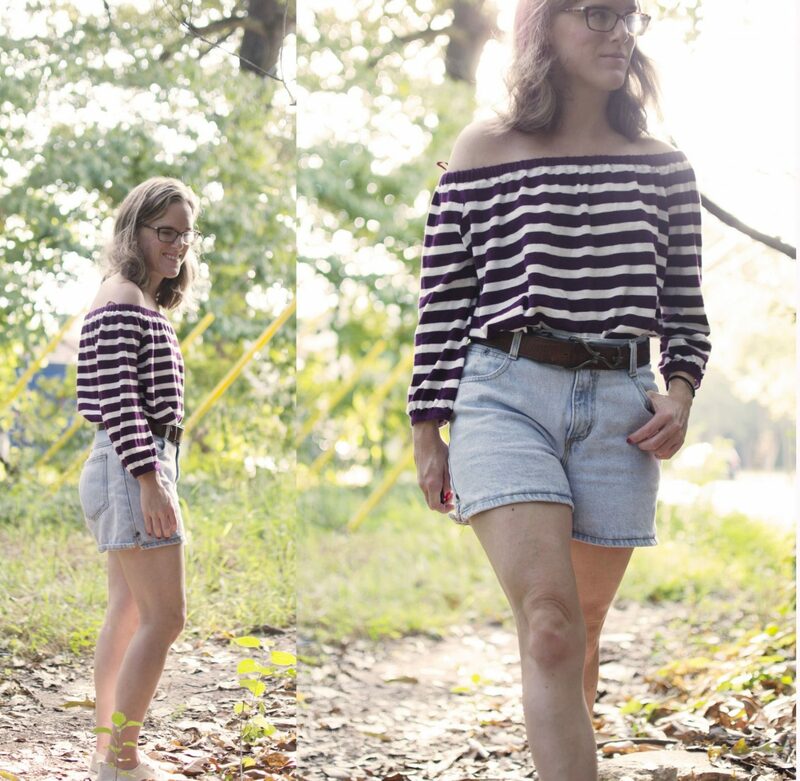 When I first spotted this top at my local thrift store, I was a bit confused as to the point of long sleeves on an off-the-shoulder top. But I have recently discovered it another perfect transitional piece!! I got it only a week or so ago but I think I’ve worn it three times since then! Oops. But it so comfortable and makes me feel put together even if I’m not leaving the house for the day! I also really like the soft cotton material because it doesn’t make my shoulders feel as restricted as some other off the shoulder tops. Anyone else know what I mean?? Sometimes I can’t move my arms above my shoulders without the top getting all wonky! But this one is comfy and cozy so it works wayyyy better. 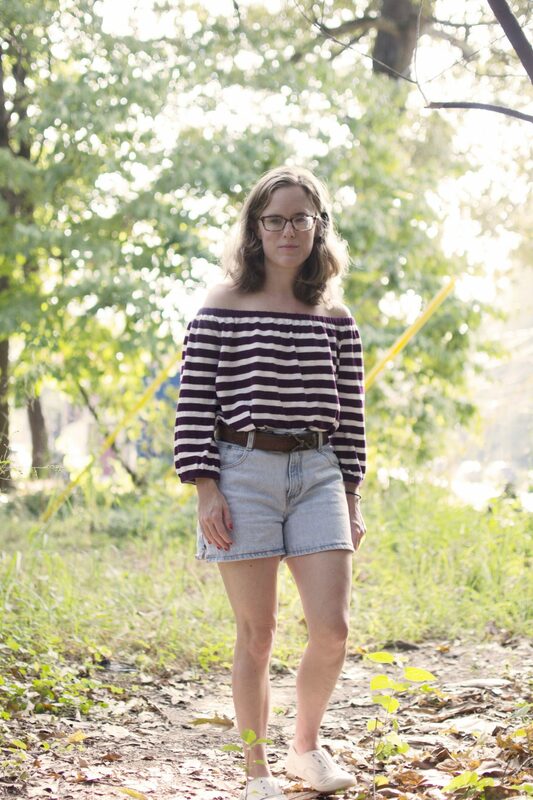 We’re still having some pretty hot weather here lately so I paired the top with my favorite vintage shorts but I can’t wait for it to get cooler to pair with some skinny jeans! I think after I head to NYC I’ll be switching over my closet for fall. I am just so tired of wearing shorts! Bring on all the sweaters and tights! 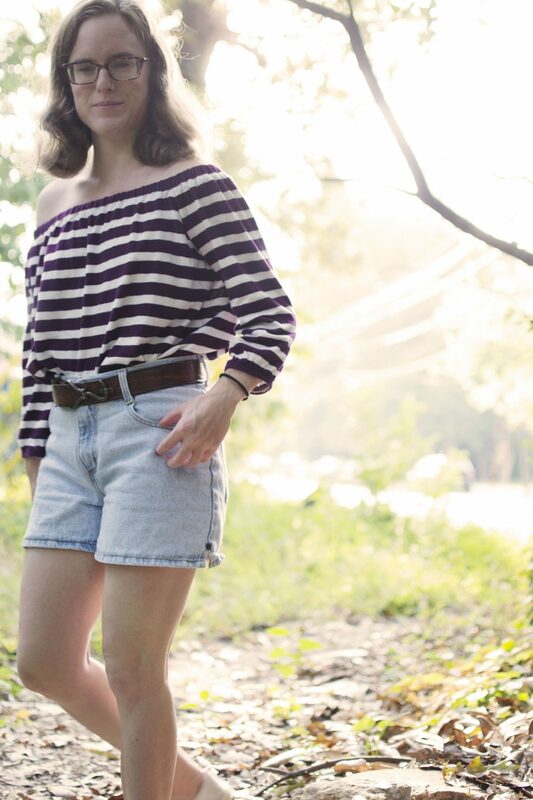 Anyways, my belt is one of my favorite thrift finds from the last year. It’s so weird! It’s got a hook as the belt buckle. But it fits perfectly for high waisted things so I couldn’t let it go! Are you also ready for fall? Let me know in the comments!